Rezwan Islam has long experience in the field of citizen and social media. 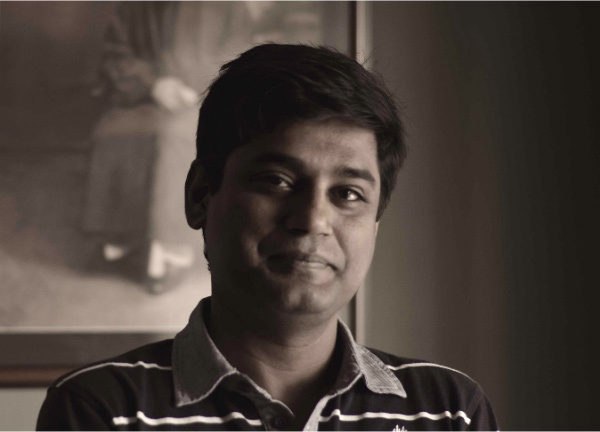 He started blogging in 2003 from Bangladesh when he wrote reviews of the most influential south Asian blogs. He is the South Asia Editor of Global Voices, an international non-profit organization which highlights citizen media across the world to global readers. He also coordinates volunteer translators in the Bengali language section of Global Voices. He previously worked as an editor for Rising Voices, the outreach arm of Global Voices, which provided Micro-grants to more than 50 projects around the world to provide training on citizen and social media tools to disadvantaged communities to give them a voice. In Bangladesh his working experience includes serving as a consultant for UNDP in different projects, especially in Citizen’s Voice (Nagorik Kontho), an Usahidi based citizen journalism portal, which accumulates crowd-sourced reports on quality of public service issues in Bangladesh. He also worked with AJ+, a digital-only news platform from Al Jazeera based in San Fransisco, as a node editor for Asia. He previously worked as a jury in the Indian citizen media awards Indibloggies and the Deutsche Welle Best of The Blogs (BOBS) Awards 2011. He attended many international conferences on Social and New media and Internet Freedom including Global Voices annual conferences on citizen media in New Delhi (2006), Budapest (2008), Santiago (2010), Nairobi (2012) and Cebu (2015), attended as a speaker in Blogfest Asia 2012 in Siem Reap, joined the expert Meeting on the Internet and freedom of expression in New Delhi, Meeting of The Digitally-Empowered Activists in Turkey, Conference on Internet & Democracy in the Middle East‏ in Germany and Open Translation Tools Conference in Amsterdam, Stockholm Internet Forum in Sweden (2012), Google’s Internet at Liberty conference in Washington DC (2012). He also spoke in the panel of an International Media Conference organized by IIJ/FAZ in Berlin, Germany in 2010. His work has appeared in numerous publications including UNFPA’s Conversations for a Better Planet, E-Bangladesh and Future Challenges.